Rally Racing News Leader in the USA | Rally World News Rally World News: Rally America Gets "Down and Dirty"
Rally America Gets "Down and Dirty"
Rally America Radio will be broadcasting live with Jim Beaver stage-side throughout each of the eight 2015 Rally America National Championship events. Jim Beaver, a widely know professional off-road racer, motorsports commentator and host of the world’s largest action motorsports radio show “The Down & Dirty Radio Show,” will be bringing an extensive network of online partners and outlets used by the Down & Dirty Radio Show to distribute Rally America Radio. In addition to hosting Rally America Radio, Jim Beaver will also work with Rally America in various capacities during each of the events. 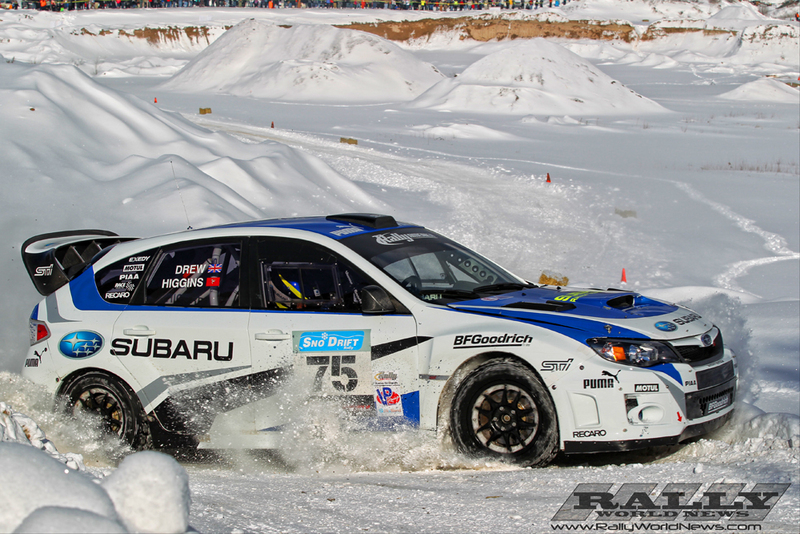 Rally America Radio powered by the Down & Dirty Radio Show will make its debut January 30th at Sno*Drift Rally in Atlanta, Michigan, with continuing coverage on day two, January 31st. Tune In times and links will be available at www.rally-america.com and www.DownAndDirtyshow.com as well as their corresponding social media in the coming days. Jim Beaver is a professional race car driver, radio host, media personality, brand ambassador and motorsports announcer/emcee. A 3rd generation race car driver who is currently competing in off-road's premier Trick Truck division as well as the Terracross Championship in a Polaris RZR. He has been instrumental in pushing off-road and action motorsports to mainstream America through various television, radio, magazine and online appearances while actively competing in the events. He can be followed online at @JimBeaver15 on Instagram and Twitteror Facebook.com/DownAndDirtyShow.